Written by Renovaré Ministry Team and Board member Richella Parham, A Spiritual Formation Primer is a valuable resource that answers the question being asked by many today: 'What is Spiritual Formation?' 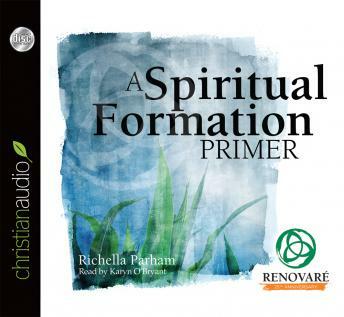 Richella clearly lays out the basics of Christian spiritual formation and does so in a cheerful and winsome way. This highly approachable volume inspires its reader that transformation into the image of Jesus Christ is available, possible, and awaiting every believer who seeks it. A Spiritual Formation Primer is perfect for new believers who want to dig deeper into Life with God. It is also an excellent resource for personal and/or small group study as well as a "must have" for any ministerial leadership team.